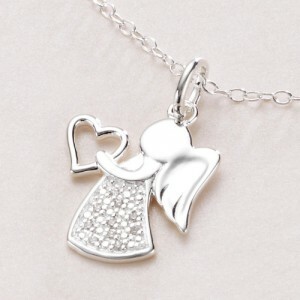 Angel Heart Silver Necklace with Optional Engraved Message Tag. 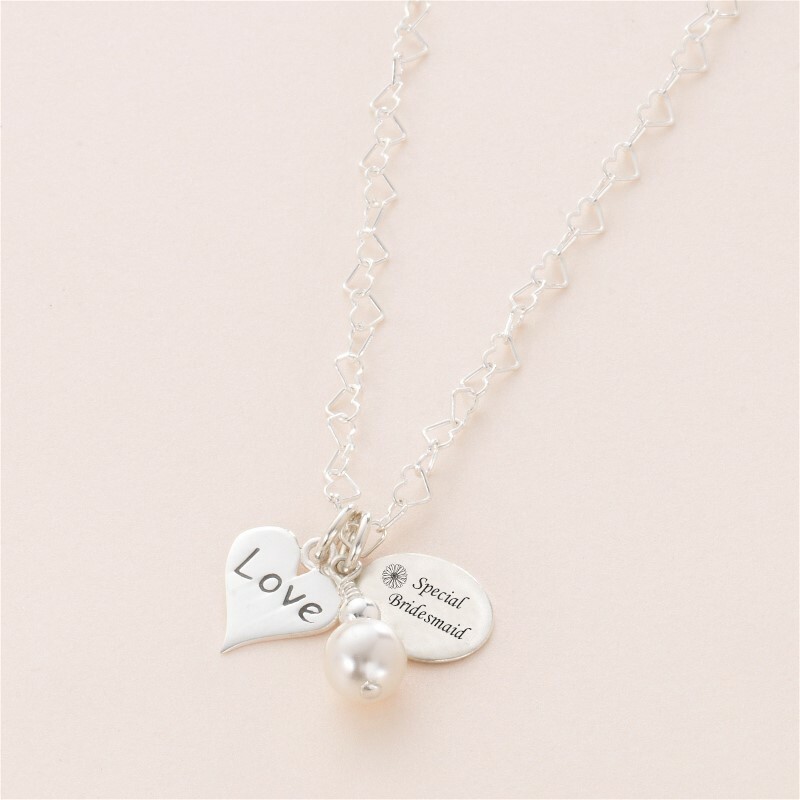 Beautiful, high quality necklace perfect as a gift for a christening, birthday or any other special occasion. All silver metal parts are real .925 sterling silver. 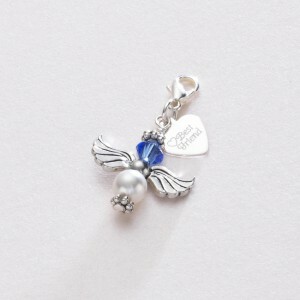 The angel’s skirt has 10mm x 1mm cubic zirconia crystals inset. 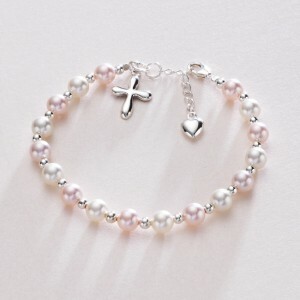 Beautiful Girl’s Cross Heart Christening Bracelet. 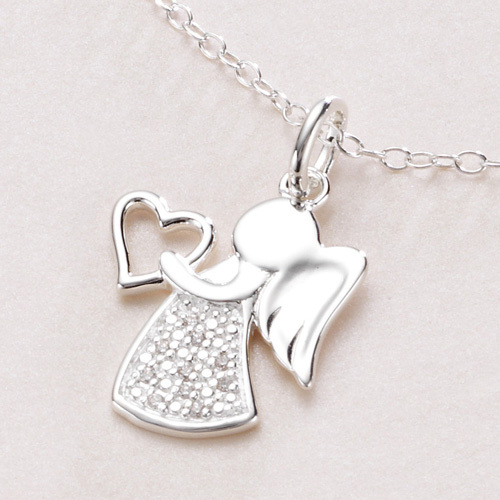 A super gift for a Christening, Bridesmaid, birthday or any other occasion. Made with genuine Swarovski Elements pearls and Sterling silver beads. Including a cross charm, puffed heart extension chain and lobster clasp. All silver parts are real .925 sterling silver. Shown in white and pink pearls. Other colours are available, as shown in the colour chart below. 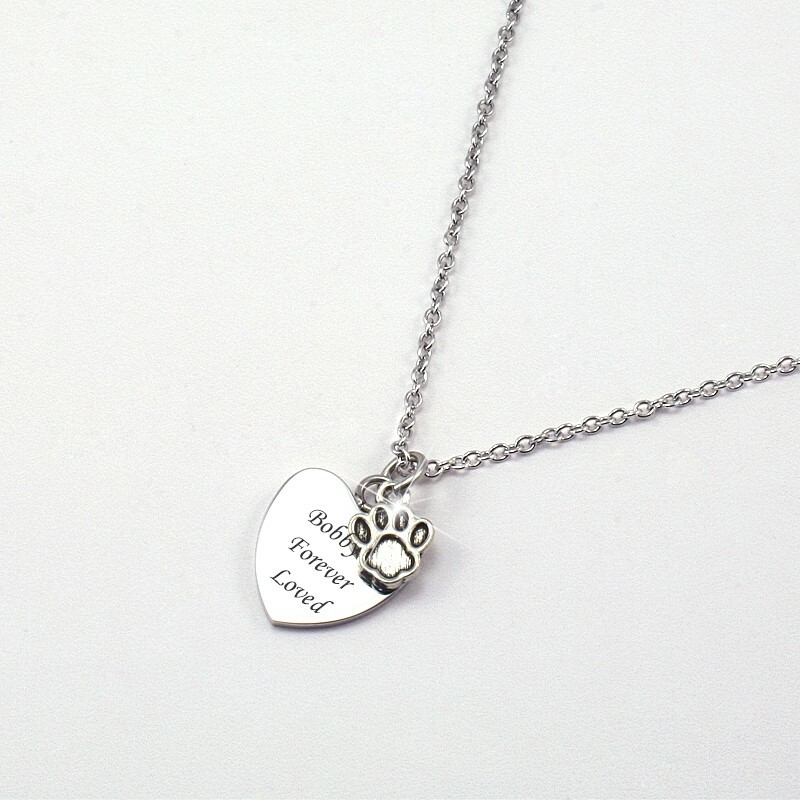 A lovely necklace with an engraved steel heart overlaid with a sweet little paw charm. Free engraving on both sides of the steel heart. Stylish Personalised Leather Wrap Bracelet with Engraved Heart Charm – Pink, Brown or Black. 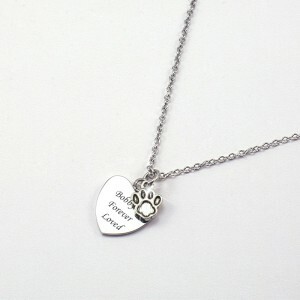 It can be personalised with engraving of any words, names or dates of your choice. Various sizes for ladies and girls. 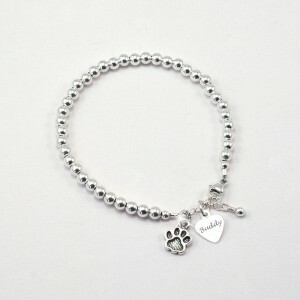 Such a perfect gift for pet lovers – Sterling Silver Pet Name Bracelet with Any Name Engraved. 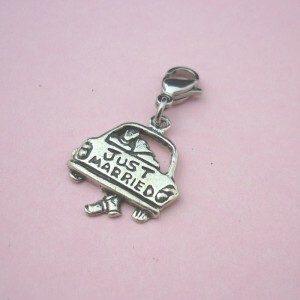 Can be personalised with any engraving of your choice up to 12 characters on each side of the tiny heart charm. Various sizes for ladies and girls. 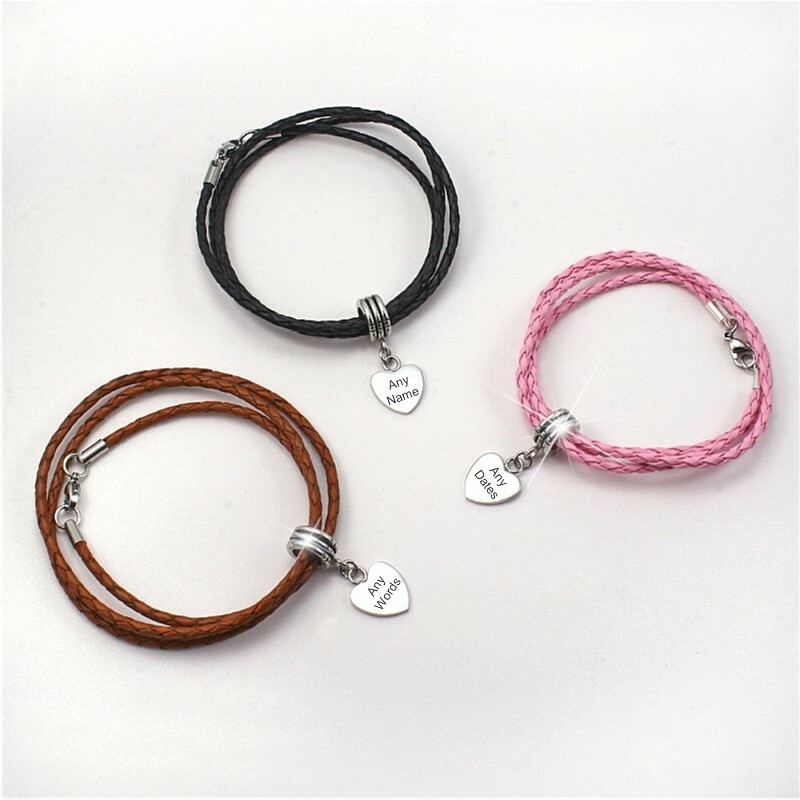 Each bracelet is size adjustable for a perfect fit. This personalised bracelet for girls and ladies is made from .925 Sterling silver. Each bead measures 4mm. An extension chain is attached to all sizes to allow for adjustment and room for growth. Sterling Silver Love Heart Necklace With Choice of Engraved Tag. Beautiful Sterling Silver Love Heart Necklace With Choice of Engraved Tag. Made with the “Love” heart shown and a Swarovski Elements pearl charm. Free Personalised Engraving on the back of the tag! Beautiful Pearl and Crystal Bracelet with Engraved Flower Girl or Bridesmaid Charm. 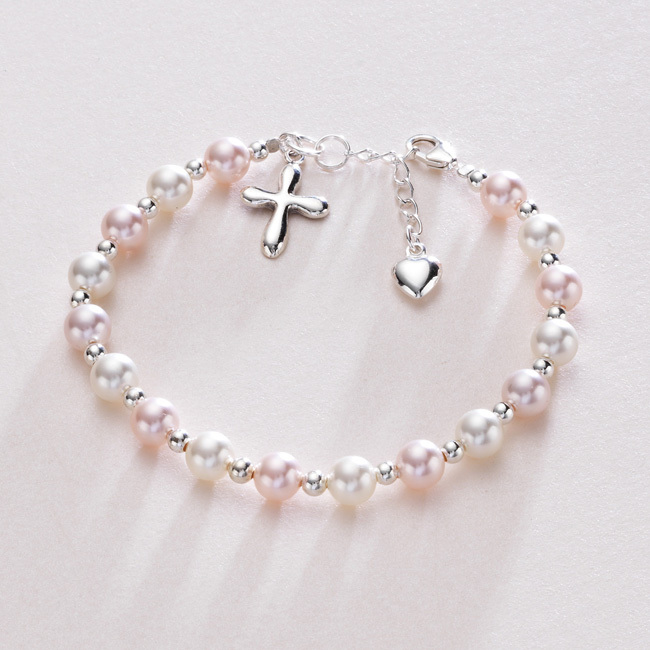 Look no further for a Beautiful Pearl and Crystal Bracelet with Engraved Flower Girl or Bridesmaid Charm. Each bracelet is custom made to your exact requirements and can be Made to order in your wedding colours. Ideal flower girl or bridesmaid presents. 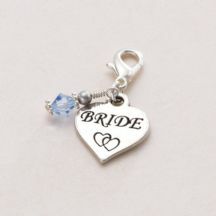 Also see our page of bridesmaid gift ideas. 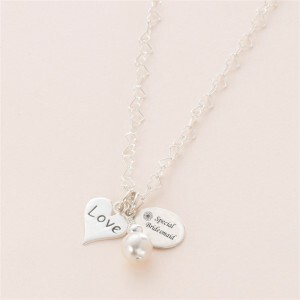 Free engraving on the reverse of the heart so you can personalise this item with your own words. Perfect for adding: Love from…, dates, names, thank you, etc. Swarovski Crystal Heart & Horseshoe – Something Blue Charm. 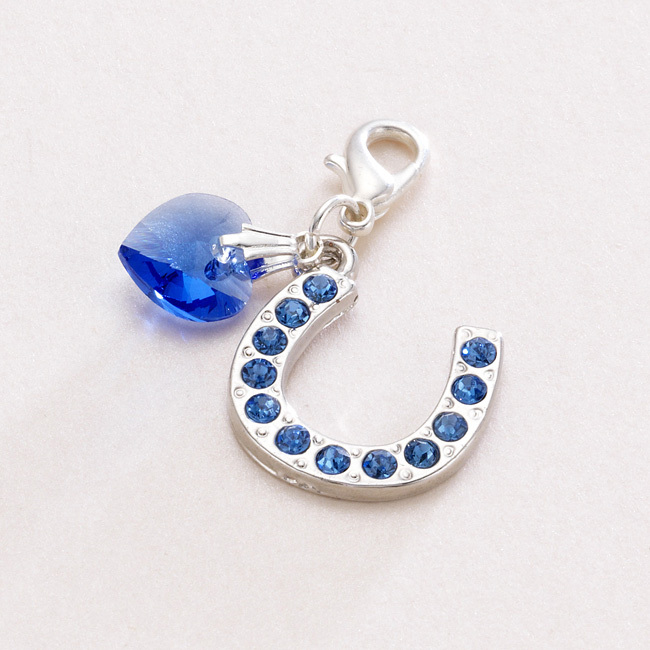 “Something Blue” Swarovski Elements Heart hanging alongside a silver plated horseshoe charm which also has blue crystals inset. A lovely bracelet made with Swarovski Elements crystals. Shown here in clear crystal but available in a huge range of colours.